This reminded me of how everything yearns to be praised and appreciated. The forest wanted to see and feel the delight of the children dancing around the forest floor, smelling the flowers, enjoying the lush, green grass and the new birth that was in abundance. It is the little things we seek to be praised and appreciated for. I heard a powerful thought on a podcast recently with Sara Ban Breathnach, she was talking about how if we are created in God’s image, then He too yearns for praise and appreciation, (this was an aha for me) for us to notice the little gifts he grants us daily. He wants us to find wonder and possibility in every single day. To have gratitude for all that is given. This Easter I want you to ask yourself and your family—What can we do this Easter to bring our family together to celebrate and rejoice in His name, to remember the truth of the season, to be grateful for the colors, for the spring blooms that are beginning to pop out of the earth, to look up into the beautiful sky and see the hues, the warm sun, the colors that are echoed in the details of Easter. There are so many little details that Easter brings, tiny designs etched in lace, the chocolate bunnies that take us back to our childhood, the textures of grass gently tucked into a sacred basket, small eggs in a multitude of colors to remind us of the new birth of spring, a new day. A Easter Bunny may not seem appropriate for such a special holiday, but if we can see the symbol in a new light, a beloved creature that gathers details of a new day, a blessed day that is a gift from a God that loves us, as a reminder of His love, then we can embrace this cotton-tailed friend and see it in a new perspective…of Love, Wonder, Delight and a special offering to remind us of Him. We can then take this special reminder and give thanks and praise in all we do. Legend of the Sand Dollar: This year I am going to read The Legend of the Sand Dollar since we found many sand dollars along the coast this past summer. I have not read the story, but I will let you know how it is once I receive it. It is an Inspirational Story of Hope for Easter. Bought it on Amazon along with a basket of sand dollars that I am going to give to my nieces and nephews after sharing the story. Easter Lily: gather your family around and explain the meaning behind the Easter Lily. There are many stories associated with the Easter Lily: One says the shape of the Easter Lily looks like a trumpet shape and is a symbol of God the Father calling his Son Jesus home. Another story said these Lilies were found growing in the Garden of Gethsemane after Christ’s agony. It is said that the lilies sprung up where drops of Christ’s sweat fell to the ground in his final hours of sorrow. One personal interesting fact—this summer on our trip along the Oregon Coast down to the Redwoods we came across fields where the largest producers of Easter Lilies were grown. It was amazing, miles and miles of fields that then reached up into the forests of the mighty Redwood trees, filled with towering Cathedrals, protective boughs, breath taking silence and then you came out of the forest into a town that was dark, felt ugly and held one of California’s prisons. It was like polar opposites—Beauty, Light, Peace, Cathedral trees into a dark, ugly land. Interesting. Have a special meal: If you have a family tradition, then enjoy it. BUT, don’t be afraid to go out. Last year we were not home for Easter, so we enjoyed a beautiful brunch at a local restaurant. At first I couldn’t believe what we were doing, but I was happily surprised to see families together, some dressed up in their Easter best, enjoying their time together. We enjoyed every minute and every yummy, little detail. The best detail—being together. Spend part of the day in service: Serve Easter dinner at a homeless shelter, make cookies and share them with an elderly home, make fun, decorated, edible eggs and hand them out to the homeless, give an Easter Lily to someone who is elderly or in a home because of the symbolic hope and life it brings, maybe you can take someone who is alone a special Easter meal, have your child make a special Easter gift to give to her teachers at church & school. Make handmade Easter cards and send them to friends and family. Make a Easter gratitude tree: I usually do this around Thanksgiving, but Easter would work too. Make or purchase a wire tree that you can hang the small, colorful wood eggs on. Have each member of your family pick a few of their favorite colors & with a small sharpie write something they are grateful for—a beautiful gift they can praise and appreciate for Easter. Gather everyone around and have them share each one before putting them on the tree. 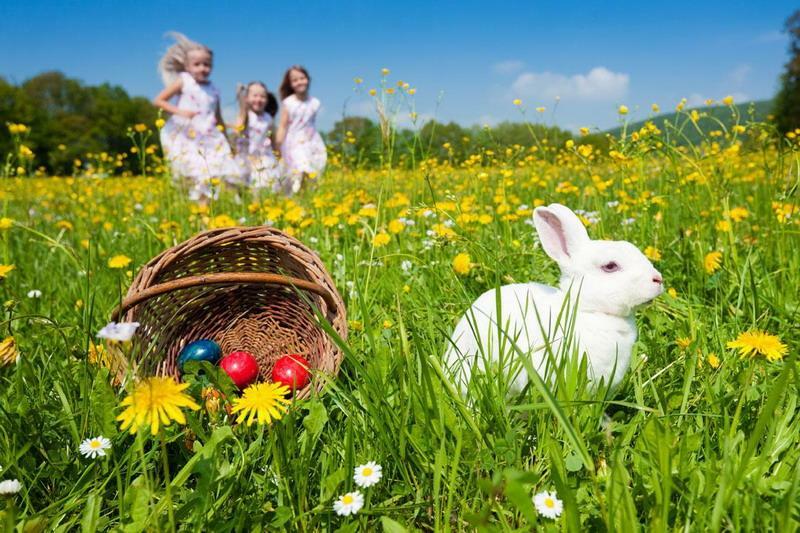 Dress it up & remember: Usually Easter involves new spring dresses and new ties, so make sure you take a special moment with your family, find a beautiful spot in your home or yard and take a picture to remember the moment. Then give every member of your family a piece of cardboard & have them write down 3-5 things that either symbolize them at this point in their life, a personal motto or quote or things they are grateful for. Have them write them down, decorate the cardboard & take single pictures of each person. You will see them & what was important to them at this point in their life. It will be a fun memory to cherish. Next Easter around the world? Good day very nice site!! Guy .. Beautiful .